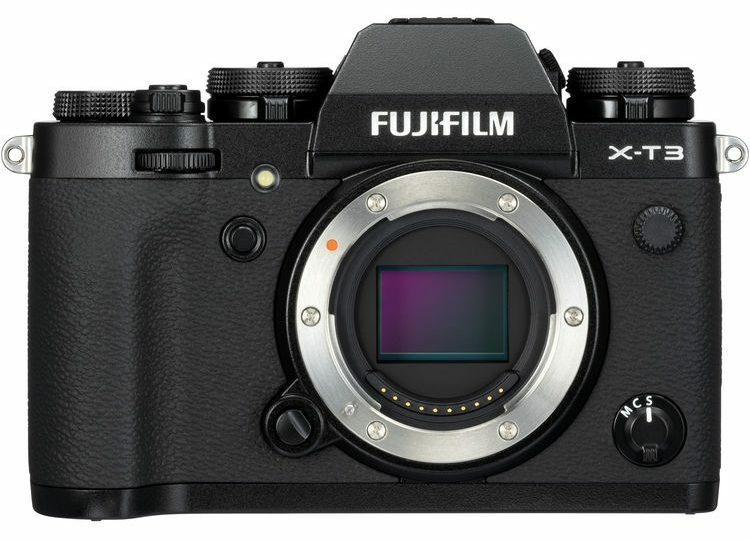 Fujifilm recently announced the new Fuji X-T3, which has some very important features for video creators. The X-T3 is the mirrorless camera, which can record 4K/60p in a 10bit (4:2:0) HEVC H.265 codec internally onto UHS-II SD cards, a clear signal that Fujifilm are quite serious about video in their latest APS-C camera. For reference, the Panasonic GH5S can also record 4K/60p internally, but in 8bit 4:2:0. The dual card slots are also a major plus, giving professionals in both still and video more peace of mind for backup or extended recording. In addition, Fuji have also included F-Log internally, so that’s definitely a much welcomed addition, as it will be necessary to get the maximum dynamic range out of the camera for internal recording. The Fuji X-T3 will also output a clean 10bit 4:2:2 signal via HDMI so you can rest assured you can get a helluva quality ProRes or DNx footage with something like an Atomos Ninja V external recorder. Fujifilm have also been doing a fantastic job marketing their new camera by giving it to some really talented professionals, such as the case with the two “Hollywood-class” short films, one shot by Nick Thomas, and the other by Matt Libatique, a frequent collaborator of Darren Aronofsky. Both short films are fantastic and demonstrate the immense capabilities of this tiny and affordable camera. Nick mentioned in the comments on Vimeo, that in they shot everything F-Log to an Atomos external recorder in ProRes HQ 10bit 4:2:2 at ISO 600. He shot in 23.98 4K DCI and used the Fujinon MK 18-55mm T2.9 X-mount lens. You can follow Nick on Twitter here and also check out more of his work on his website. Headphone Jack on the body, not grip! The sci-fi thriller “A Different Beyond” revolves around two characters on the run from a mysterious cult leader, and it was lensed by Matthew Libatique, ASC, for whom this short was also his directorial debut. The films was shot in 2 days on location in Pomona, California as a co-production between Chromista and Protozoa Productions. For the shoot, Libatique utilized many Hollywood-style techniques and equipment rigs common to movie and television productions, including visual effects (both blue screen and CG). The film captures a wide range of lighting scenarios demonstrating the vast capabilities of this camera. This being a Hollwood-style production with a decent budget, it’s normal to expect the Fuji X-T3 to be thrown on large gimbals, cranes, dollys, cranes, and Russian Arms. “A Different Beyond” was lensed with Fujinon MK-X compact zooms ( the 18-55mm and 50-135mm T2.9) as well as the bigger FUJINON Premiere PL Cabrio 85-300mmT2.9-4.0 cine zoom, as well as Hollywood favourites Zeiss Super Speeds 18mm, 25mm, 35mm, 50mm, 65mm and 85mm. Most of the film was shot in F-Log in Rec/2020 colour space for HDR delivery, both to internal SD cards and Atomos Ninja Inferno recorders, and then professionally graded. However, several of the scenes were recorded using Fujifilm’s Film Simulations directly – namely the ETERNA, Velvia and CLASSIC CHROME to show their suitability for projects that don’t have time or budget for colour grading. What do you guys think? Have you tried the Fuji X-T3 yet? Are you currently a Fuji X-T2 shooter or similar looking to upgrade, or maybe thinking of jumping ship from another manufacturer? I think the X-T3 has a huge potential and for those looking to get a camera that is both very capable in the stills world as well as 4K video.